Excise Duty: Our excise tax services include Excise registration, exemption application and declarations, Excise returns. With enormous industry experience, we are affianced in presenting Refund of Terminal Excise Duty services. Presented services are provided by our employees who have enormous experience in this field and help us in meeting precise requirements of the patrons. The presented services are acknowledged for our client centric approach, reliability, cost-effectiveness and timeliness. Riding on high volumes of trade ability, we are providing top class Excise Return Filing Service. These services are delivered in agreement with the clients’ prerequisites to obtain gratification. In addition, we originate these services only after recognizing the given details of our customers. - Record maintenance upto Submission of return. - All Procedural compliance to Export/Import, Centavo Credit, Utilization etc up to Audit. - EOU & SEZ Concepts. 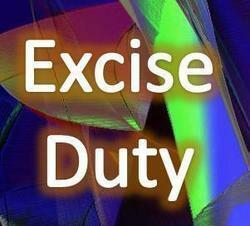 Central Excise duty is an indirect tax levied on manufacturing of taxable goods. In India, the manufacturers act as agents to collect and pay the duty of excise to the Government at the time of removal of goods from their factories. 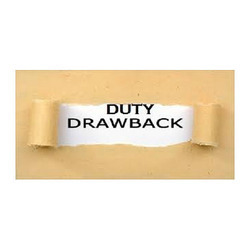 The duty incidence is passed on to the ultimate consumers, who bear the ultimate duty burden. Our representatives stay close to your shipment from pick-up to delivery, keeping you closely informed of its progress. Our firm is a very prominent name of the market for providing Central Excise And Custom Services to our valuable consumers. These are provided with the help of trained professional experts. Our services are available at best market prices. Amit Bk Agrawal & Co.
We can meet your needs of consulting services in Customs and Excise. We work as a facilitator for your Foreign Trade (Commerce) transactions. Excise Duty Consultancy includes; Excise Duty Planning, Assistance and monitoring of Excise Audit by External Cost Accountants Preparation of Cost Accounting Records in term of Cost Accounting (Records) Rules. Internal Audit of Excise Records and assuring management of correctness of payments to Excise Authorities.